Here is a great gift idea! Right now through Groupon you can get this Makeup Brush Set with Vegan Leather Case (24-Piece) for only $19.99 (Retail $150)! Choose from wood or jet black handles. Armed with these 24 brushes, you can maximize your makeup application and blending skills to create magazine-ready looks at home. An assortment of hand-sculpted brushes, ranging from angled eye-shadow brushes to poofy powder brushes, give you the freedom to play and experiment while optimizing the application and look of your favorite cosmetics. The set’s included faux-leather travel bag makes it easy to take these brushes with you to pre-prom parties or on romantic weekends away. Don't miss out on one of the most popular gifts this year. Right now you can snag this Mermaid Tail Blankets in Adult and Kid Sizes for only $19.99 (Retail $100)! Shipping is FREE on this deal! 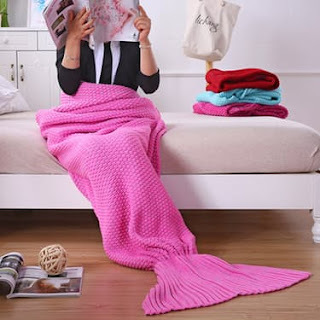 Makes a cute and original gift for all wannabe mermaids! These are so cute! 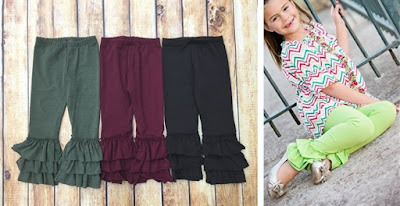 Right now get these Triple Ruffle Ankle Length Legging for Kids for only $14.99 (Retail $34.00)! Super cute and trendy Triple Ruffle Legging Pants. Great paired with peasant tops, tunic tops and all your favorite dresses. $3.99 for the first item and $1.99 for each additional item. US only. Estimated to ship by Fri, Dec 9. Seller usually ships within 3 business days. 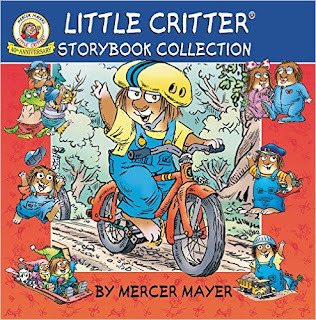 Head over to get this Little Critter Storybook Collection Hardcover Book for ONLY $6 (Retail $11.99)! This new collection features seven of your favorite Little Critter stories! Join Little Critteras he enters the school science fair, builds his own growing machine, trains for a big race, enjoys a snowy day, becomes the captain of a tugboat, drives a dump truck, and spends a weekend with Grandma and Grandpa. When Little Critter is your friend, even the most ordinary day can turn into an adventure! The Disney Store is offering $1 Personalization (Retail $5.95) with code DOLLARPZ at checkout. 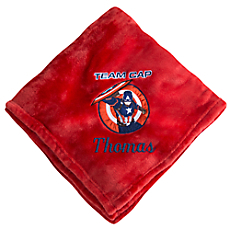 That makes Fleece Throws Personalized for ONLY $11 (Retail $25.90). Get ready to hang those holiday lights! 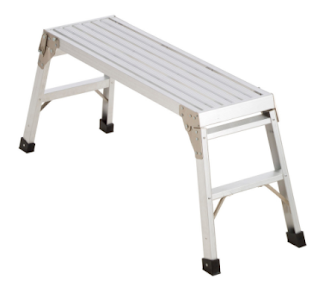 Lowe's has this Werner 3.4-Foot Aluminum Work Platform for $19.98 with free shipping. That's an all-time low price! It features a 225-lb. weight capacity. If you are shopping for a teacher this year you will want to check out this super cute deal! Right now you can get these No. 1 Teacher Bangle Charm Bracelets in 3 colors for only $6.99 (Retail $15.99). $4.99 Shipping charge does apply to this deal! Need to show your favorite teacher some love?? These No. 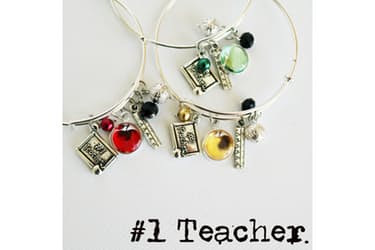 1 teacher charm bangles make the perfect “thank you” gift! I would love this as a Christmas Gift! 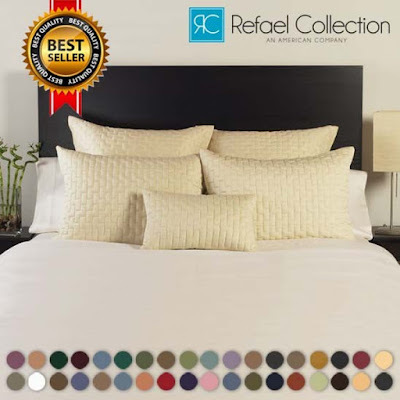 Hurry over because right now you can get this 4-Piece Set: Bamboo Blend Comfort Bed Sheets for only $16.99 (Retail $119.99)! Shipping is FREE on this deal! Head over to get this Arthur Christmas DVD for ONLY $4.99! How CAN Santa deliver billions of presents to the whole world in just one night? With an army of one million combat-style Field Elves and a vast, state-of-the-art control center under the ice of the North Pole! So how could this incredible operation have MISSED one child?! To Santa's young son, Arthur, it threatens to end the magic of Christmas. With retired Grandsanta, a rebellious young elf, an old sleigh and some untrained reindeer, Arthur sets out in a crazy mission to deliver the last present! Deck the halls with excitement, fun and wonder in this new Christmas classic! 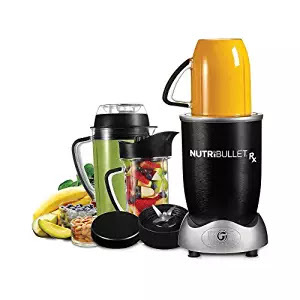 Right now you can get this Magic Bullet NutriBullet Rx N17-1001 Blender, Black for $119 shipped (Retail $179.99). This is the BEST price it's been on Amazon. 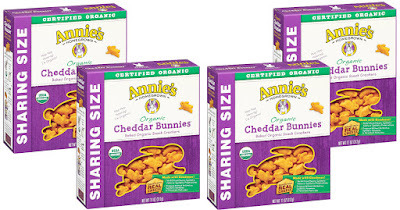 Head on over to Amazon.com where you can clip a coupon to save 15% off select Annie's Organic Snacks when you opt to Subscribe and Save. As an idea, you can score 4 Boxes of Annie's Organic Cheddar Bunnies for only $7.04 shipped (regularly $8.80) after you clip the 15% off coupon and choose Subscribe and Save. That's like paying only $1.76 per box delivered to your door. Hurry over to get the Cricut Explore Air Wireless Cutting Machine for $178.99 Shipped (Retail $232)! 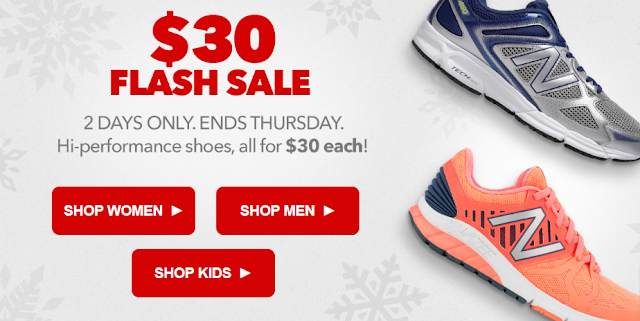 Head over to Joe's New Balance Outlet where you can score some great deals on shoes for the whole family with their $30 Flash Sale! Hurry, though, sizes and selection are going fast! 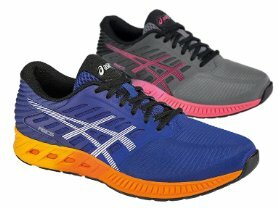 Right now get a pair of these ASICS Men's and Women's fuzeX Shoes for $49.99 (Retail $110). You've simply gotta check out the new Men's ASICS® fuzeX™, the shoe featuring ASICS' newest and super innovative fuzeGEL™ cushioning technology! Made from the fusion of GEL® property and foam, this shoe provides you with lightweight, adaptable comfort, specifically tuned to provide rearfoot shock absorption and enhanced forefoot bounce back. Plus, you're sure to keep your feet feeling dry, fresh and irritation free in the new fuzeX™, complements of the seamless construction and ComforDry™ sockliner. 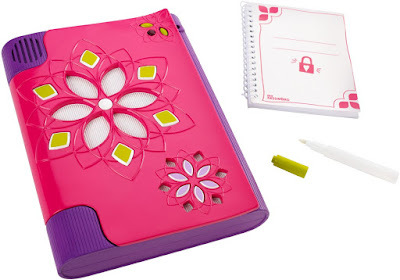 Right now you can score this My Password Journal for ONLY $10.31 (Retail $19.99)! 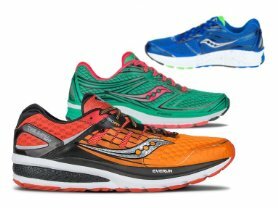 Today ONLY - Saucony Men's and Women's Running Shoes are JUST $34.99 - $64.99 (Retail $120 - $150). I'm loving the color choices of these shoes and the Plush Cushioning! I am loving this tee! Head over to get this Believe Tee Shirt for ONLY $13.99 (Retail $32.99)! 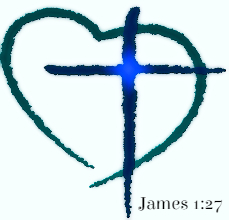 "Though I've grown old the bell still rings for me, as it does for all who truly believe." Christmas is the most wonderful time of year and our believe tee fits right into the holiday spirit! Right now you can get this Nintendo Selects: The Legend of Zelda Ocarina of Time 3D for the Nintendo 3DS for ONLY $13.59 (Retail $19.99)! -The Legend of Zelda: Ocarina of Time 3D brings a completely re-mastered version of an epic entry in the beloved The Legend of Zelda game series to Nintendo's newest hand-held system, Nintendo 3DS. -The game couples phenomenally enhanced graphics with stunning, glasses-free 3D visuals to bring to life the daring adventures of its hero, Link. -The game also features new challenges not included in the original. 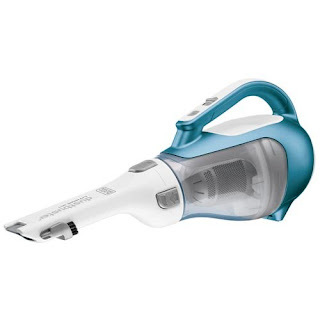 Today only, while supplies last, get this BLACK + DECKER CHV1410L 16 volt Lithium Cordless Dust Buster Hand Vac for ONLY $37.99 (Retail $89.99)! This 4-piece Pokemon Paperback Book Set for $16.99 will quickly become favorites in your child's library. Ethan, Devin, Carlo, and Gianna are Pokémon trainers—and with the help of their favorite Pokémon, from Pikachu to Charizard, they're ready to take on both the real world and the virtual world in Pokémon GO. Determined to catch 'em all, explore every PokéStop, and battle their way to the top, the friends join Team Mystic and spend their days hanging out at their local Gym, a doughnut shop. 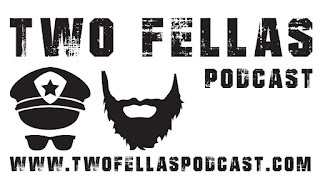 But when someone breaks into the shop and steals a valuable batch of doughnuts, the friends are determined to put their brains and their games to work cracking the case. Then Devin discovers the first clue in her Pokédex; could the culprit be a member of Team Valor or Team Instinct, hoping to reduce the Gym's Prestige? And can Team Mystic band together to track down the thief—and defend their Gym? Fans of Pokémon GO will race to the end of this exciting first book in the Unofficial Adventures for Pokémon GO Players series! When their neighbor's cat goes missing, Ethan, Devin, Carlo, and Gianna grab their Poké Balls and Razz Berries and hit the streets to search for him. Along the way, they hope to catch a frisky Meowth, or even a legendary Mewtwo or mythical Mew. But Team Mystic's favorite Pokémon are just as elusive as the lost cat. Plus, someone or something is throwing the friends off track with misleading paw prints and meowing. Now the Pokémon-collectors-turned-sleuths have to choose which clues to follow—and which Pokémon to pursue. Can the friends use the knowledge and resourcefulness that earned their team its Prestige to find both the real cat and the Pokémon they dream of catching? Fans of Pokémon GO will be on the edge of their seats as Team Mystic puts the clues together in this thrilling second book in the Unofficial Adventures for Pokémon GO Players series! On a trip to the zoo, Team Mystic encounters plenty of rare Pokémon. There are Abras, Mankeys, and Butterfree everywhere, not to mention a gazillion PokéStops. How lucky can a group of Pokémon GO players be? Then Gianna loses her lucky Pokémon-catching cap, and their fortunes take a turn for the worse. Now the kids have to stop looking for Pokémon and start looking for Gianna's favorite cap. Team Mystic is on the case! But every clue the friends follow seems to lead a dead end, and soon they find their hopes of finding the cap fluttering away. Can an encounter with Butterfree help them find the lucky cap? Or has their luck run dry? Fans of Pokémon GO will cheer for Team Mystic this exciting third book in the Unofficial Adventures for Pokémon GO Players series! Ethan and Devin have finally gotten the puppy of their dreams! Even better, taking their new pup to the dog park near the lake means the chance to explore a new Pokémon GO habitat! But the energetic puppy chews on everything in sight, including a map she pulled down from a PokéStop. When they pull the ruined map from the puppy's jaws, Ethan and Devin are shocked to discover a mysterious code on its back. Is someone using the map to send secret messages about the best places to fish? Or better yet, to hunt Water-type Pokémon? Looks like a case for Team Mystic! 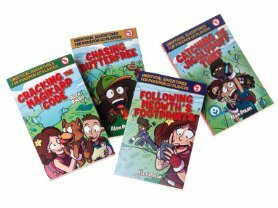 Fans of Pokémon GO will love putting the clues together—and cracking the code—in this compelling fourth book in the Unofficial Adventures for Pokémon GO Players series! Right now at Sears you can snag this Craftsman 254 Pc. 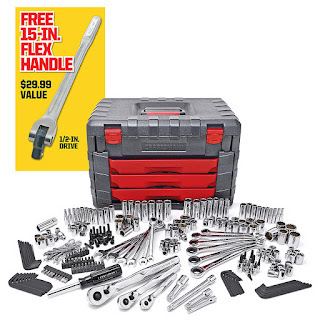 Mechanics Tool Set with 15" Flex Handle for only $154.99 (Retail $299.99)! Shipping and in-store pick up are FREE on this deal. You can also earn Shop Your Way Rewards Points as well! These are so cool! I shared these on KARK4! 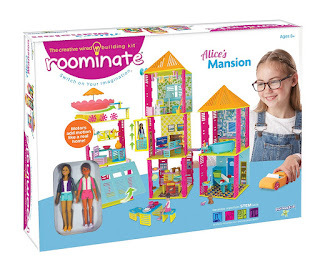 Check out this Roominate Alice's Mansion $45.60 (Retail $57.99) on the Holiday Top Toy List! 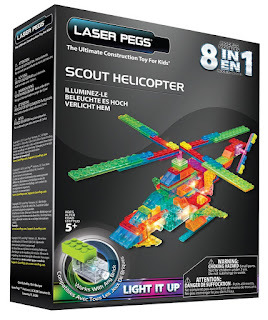 -A wired building set that inspires open-ended, hands-on play while showing girls that creativity and engineering are fun! 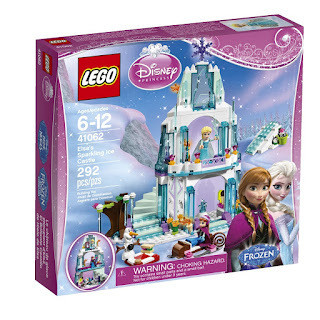 -Over 230 pieces allow children to build their mansion however they want, then add stickers to make it even more their own! -Use the motors to make a working elevator that goes up and down, garage door that opens and closes, and swimming pool that rotates! Or, use the motors to design something else! -Once it's designed and built, children will have fun playing in their mansion with the included dolls, pets and accessories! Don't forget, with Prime you also get unlimited Fast, FREE Shipping, unlimited streaming of movies, TV shows, and music, free e-books, and much more. Join Prime today. 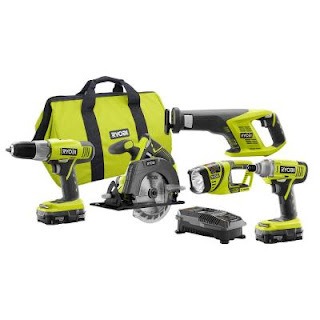 Hurry over because right now at Home Depot you can get this Ryobi 18-Volt Lithium-Ion Cordless Combo Kit (5-Tool) for only $149 (Retail $249)! Free shipping or in-store pick up available! Today only at Lowe's save up to 65% Off Select Kobalt Mechanic's Tool Sets! Deals start at $6.98! Choose in-store pick up to save on shipping! 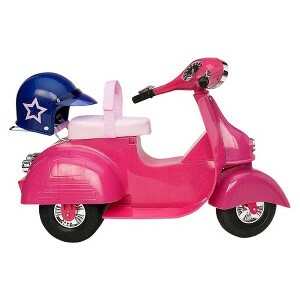 TODAY ONLY, Target is offering up a high value 50% Off Our Generation Ride in Style Scooter and Helmet Cartwheel offer! Note that this offer has a limit of one and is only valid on the DCPI #086-09-0039. 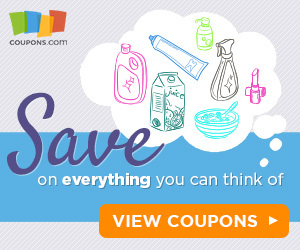 Amazon Cyber Week - Giftcards, Save on Thermos, Pet Beds, MLS Gear + More! Cyber Monday Deals Week continues! Loved Black Friday? You won't want to miss our deals today and all week long, with new deals starting every 5 minutes. Now through December 3rd, or while supplies last, Amazon is offering an EXTRA 30% off select clothing, shoes, watches and more (items must be sold and shipped by Amazon to be included)! No promo code is needed, just add eligible items to your cart and the discount will be automatically given at checkout! What's left on your list?